No, it was pretty much the worst ending. Unless you interpret it that Cynder was confused or saying that line about Sparx, then it's pretty great. The first post was pretty much a joke. I think the ending is worse than that of Twilight's, even worse than that of '06's Sonic the Hedgehog. Having read all of the Twilight books, I can agree with that. :D Honestly, the end of the Twilight series was just hilariously cracktacular. The end of DotD...ugh. Even then, a simple "I love you" isn't really good enough. I couldn't even imagine an emotional ending that can compare to that of any Naughty Dog PS3 game. I like to imagine that Spyro didn't hear her and Cynder thought about it for a second and was like "Wait a second...". Then when Spyro asked if she said anything later she was like "Uh, no. Nope. Didn't say a word." But then it wouldn't match the epilogue, either. Seriously, this Spyro series is more about serious tones than humorous ones. Sure it would. The epilogue is 100% vagueness and can be interpreted in just about any way you like. I've personally interpreted it as both of them being dead, Cynder murdering Spyro shortly after we last see them flying around, the two just being friends and playing tag... Honestly, that epilogue conflicts with the rest of the game almost as much as...well, practically every other story/cinematic element in it does. I actually have to agree with your opinion on the epilogue. I mean, the last two games gave emotional molds, and then this game BROKE that mold. I don't think your version of the ending is suitable for a sequel, though. The franchise mostly focuses on Spyro, so it wouldn't make sense to kill Spyro unless you make the other Spyro involved somehow. I think Razz is just having a bit of fun, since the story is pathetic anyway. I know she's having fun, but really...does she even WANT a Spyro game, or does she want Spyro to stay stuck at the bottom of the Mariana Trench? LoS in itself is not conducive to a sequel. The story had its ending and putting that world and those characters through anything else would be a) cruel and b) pretty lame (because what do you do when the world was half destroyed? you just can't get more epic from there). LoS is meant to be a trilogy and a story with a defined ending, which is probably one of the reasons the next Spyro series was Skylanders; there was just nothing else to be done with Spyro in LoS. Since there's no way to make an interesting sequel to LoS, I had fun just knitting together what's left into more entertaining configurations (in the "Cynder kills Spyro" concept, Cynder herself goes on to actually finish the job the dragon ancestors wouldn't). That would just be cruel. Cynder said that she loves Spyro, so why would she kill him? I'm not female, for the record. :) And it's Marianas Trench. :D But I don't want Spyro to be stuck at the bottom and, lucky for me, he is not thanks to Skylanders. LoS was a huge low point in the franchise, which was never as popular as the Insomniac games until Skylanders came out. As mentioned above, it's not a given that Cynder said she loved Spyro. She could have been talking about someone else (Sparx :D), the world at large, herself, or she was confused and would later deny she'd said anything. Everything in DotD that led up to that moment contradicts that she was talking to Spyro. At one point I thought a possible relationship between the two could work in the distant future when they'd grown up (Spyro seems interested in Cynder in TEN, but she never shows any interest in him in any of the games and Spyro seems to be over his puppy crush on her by DotD), but that entire concept is now unappealing to me. There is, no joke, more chemistry in LoS between Cynder and Sparx than there is between her and Spyro. Wow, this is just getting out of control. I mean, really, every time Cynder would talk, most times it would be at Spyro. It wouldn't be for any other person. And, you know, the damn thing about Spyro in Skylanders is that he's just another character in the franchise. No single character in Skylanders is iconic. 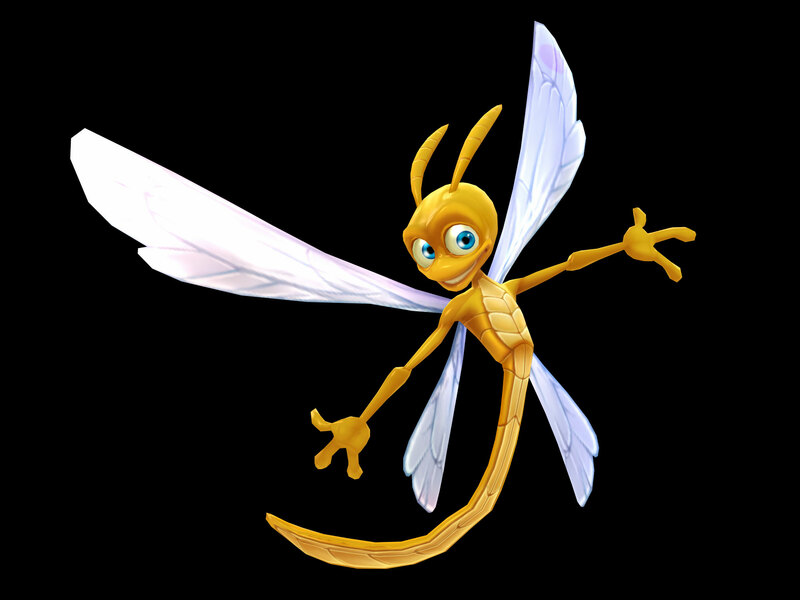 Seriously, the only good character is Flashwing, but even then, there isn't much to the Skylanders franchise other than beating $#!t people up by using endless amounts of plastic computer chips. And, you know, I think Skylanders is like a ripoff of UB Funkeys, but with more action than anything. I mean, if the Skylanders franchise focused on only ONE controllable character, the entire franchise would have been good for PS1 or something, but NO! They just HAD to make the bull$#!t amount of figures just so the series can be considered "good." I might as well nuke Activision with a more explosive Superflame attack so Sony can get Spyro back by default. YES. He spent the entire first game literally fighting against her and then actually killing her. The second game she saw him maybe twice and one of those times he was possessed by her old puppet master and killed her adoptive father. At best, I think Cynder would have just been completely confused by her enemy saving her life once. A few days literally chained to his neck isn't going to change 13+ years of indoctrination and fighting against one's own species. Okay, what does =/= even mean? I can't find a good result on Google. And second, Cynder never met Malefor in person until she was with Spyro. Plus, in The Eternal Night, when Spyro would come across Cynder again, the latter two times had Cynder trying to FAKE fights just so she can line up with the apes for a devastating attack; all three times Spyro managed to catch up with Cynder, Cynder would NEVER have wanted to hurt Spyro; she felt guilty for having to become evil; she never wanted to become evil, but the trance she was in made her so emotionally devastated that when she was finally out of the trance, she wanted nothing to do in the world anymore, which is why she wanted to run away. And yet, you say that Cynder kills Spyro, anyway. HAVE YOU BEEN PAYING ATTENTION TO THIS SERIES?!?!? =/= means "does not equal". Cynder didn't need to meet Malefor in person. The games themselves say he was in her head. She knows him better than anyone alive because he's been messing with her mind and controlling her directly for years. Most of what you're saying appears to be entirely your own interpretation of events, which is fine, but they are not mine in any way. Cynder fought against the apes in TEN because they now saw her as a traitor and were actively trying to kill her. Nowhere in any of those scenes did it imply that she felt anything but either indifference toward Spyro or vague loyalty (repaying the favor he did her in ANB of saving her life by saving his in return). I think maybe you did not pay attention to my reasoning for why Cynder would kill Spyro. :) She didn't do it out of evilness or spite. I always interpreted her as a logical and somewhat cold character emotionally because of how she grew up. She never had friends and she barely knew Spyro at all. Nice as he was to her, he's still a horrific threat to the world and she's seen his power in action as well as seen it abused and used to the will of others. It's not her favorite solution, but Cynder's logic tells her it's better for the world to just get rid of ALL purple dragons, even this nice one. *****, please. When Cynder met Spyro, she saw something different in the world: the chance to show who she truly is, not what any other person wants her to be. And, really, you're reminding me of the Cynder DLC I want to make for part 3 of Spyro Enchanted. I have no idea where you're getting that from. When Cynder met Spyro she tried to murder him. When she stopped being evil, she was dead/unconscious. The first time they actually talk she doesn't care about him, she's worried about the impending rise of her evil former master. And then she runs away for unspecified reasons. When I first got the game and played DOTD back in 2008; before getting towards the end of the game, I had this feeling that Cynder would betray Spyro, and then when they got to confront Malefor and when I saw her turn dark, I thought we would have to fight against her, and Malefor. And that it would have resulted in a sadistic ending, where Spyro sacrifices himself to kill Malefor, and then it ending on a cliffhanger where Cynder manages to escape into the wilderness, but alas I was disappointed, and it was pathetic. I was expecting some kind of twist in the story at the end anyway, put it that way. And then she runs away for unspecified reasons. Actually,TEN GBA gives an actual reason for Cynder to leave - she pulls a 'has to hurt him to leave him' with Spyro because she wants to kill Gaul on her own. Of course,that would work if you were a big evil dragon and not a little girl with no powers whatsoever anymore, but it was clear she didn't think that through when she tried to use her cute litle claws to bash through Gaul's arm shields only to get the crap beaten out of her. TEN GBA gave a lot of lore and stuff that went unexplained on the console - if only DOTD DS did the same ._.' changed some dialogue there and there but it's more frustrating and makes even less sense than the console game. I tend not to count on TEN GBA too much, nice as its lore is, because it got a few huge things majorly wrong (Spyro and Cynder being siblings, for one, although I like that version of things). I thought that game had Cynder leaving also because she had enough darkness in her to be called to the Well of Souls. Still,claws and some tail swipes do no good against a war general armored to the eye. But it did felt more genuine in GBA than in TEN to have her go try to turn her back on Gaul using the darkness thing as an excuse - if we used her DOTD personality since it's the closest she was to being two-dimensional, trying to get revenge on every bad guy she could get to seemed like her thing; violent, yes, but they were no different than her in that case. And I'm pretty sure I missed that line about Spyro and Cynder being siblings :I I don't recall any mention of that, actually unlike the console games they were pretty low on 'Cynder is sooo dark and mysterious what good would she be capable of' stuff. I think that line was in the recap of ANB. Maybe it was in the DS game... It's been so long, I only remember that it was in one of the TEN portable versions. I always skipped the recap in TEN GBA since it was an enormous wall of text for me when I was younger; will definately check it out next time I play it. It was definitely stated in the GBA version of TEN. As for the ending, I always expected Cynder to return to darkness and strike out at Spyro. I was stupid enough to think that with all the hype it was getting, as well as the WIP title (The Darkest Hour) that we would have something a bit different from the 'Spyro and Cynder team up get past enemies and take down the big evil villain the end' storyline. I was wrong, since the closest to that we got was Ignitus' death. And that was cut short to have some more Spyro x Cynder time. Darkest Hour was when it was still in the hands of Sierra. Considering the few things they hinted at when it was still their game,and how the writers said they had to cut a lot of things from the original story, chances are they wouldn't give in to the fans - doubt they'd kill Cynder or have them apart completely,but considering how Sierra liked some side-villains and not all of them were confirmed to die by the end of TEN, chances are she'd actually stick with Spyro to continue fighting evil or some other simple ending which would solve and please enough. Bifrost: Cynder is a better fighter in terms of plain gameplay than Spyro in DotD. Storywise, this says she was always good at fighting (which was already implied in ANB/TEN both), so I can't agree with you on these seeming attempts to damsel Cynder worse than ActiVision already did. I'd say the end of DotD would have been tolerable had they just left out that one line. Bleagh. Also, Sierra is just a publisher. It was Krome Studios who made ANB/TEN and where also in charge of a lot of the little things that improved the stories in both of those games (the switch to a new developer, EL, who just took the script they were handed and made no changes explains some of why DotD is so bad in the story department). Stop pulling strings out of places they aren't in and over-thinking this awful series. Your giving people who gave us a story aimed for pre-teens too much credit. No can do, Bifrost. All this stuff got lodged in my brain during the years I played LoS because the story/gameplay was so dull I had to read between the lines to slog through it. :D I'm not giving anyone credit but myself since it's pretty obvious most of what I picked up wasn't intentional on the writers' part but makes the whole series a lot more interesting (and sinister). Also, don't knock stuff written for preteens; most of it isn't this crappy and a lot of it is great literature (see: just about anything by Tamora Pierce). I've seen Spyro x Dark Cynder as a serious ship before and it was unnerving to say the least. XD I'm never going to give up on Cynder x Sparx, though (it's the only proper SxC around :D). I overanalyze LOS because it attempted to be serious and complex - it opened the box and not it has to see what's in it; much like those fanfics that pretend they're big and better than all the other ones because they did research/attempted character development/tried worldbuilding. Dark Cynder x Spyro is... Scary to imagine to say the least ._. What if the ending was as a sad and also dramatic(maybe..) ending? When Malefor was going to be pulled into the ground... Spyro and Cynder land near him to watch Malefor being pulled by the ancestors' spirits. Suddenly, Malefor grab Spyro's tail, then Spyro is pulled too with Malefor "Hahaha... At least, I'm not alone..." Malefor said, Spyro was trying to break free. But, it's useless, so before he pulled with Malefor, Spyro use his power and save the world. Cynder grabs Spyro and says "No! Don't leave me, Spyro... I don't want to loose you..." but Spyro replies "Don't worry... Cynder... At least now, the world is save. And you're totally free from Malefor's power. Go! And find your own destiny... Thanks for helping me to fight Malefor, Cynder... We are a great team...". But Cynder can't let him die with Malefor, so Cynder decides to die with Spyro, she pull herself to Spyro. "Cynder?! What are you doing?!" Spyro asked "I'm not gonna let you go! We have fought all enemies and weird creatures... Travel around this world... Survive from dangers... We have done everything together... Then, even if we have to die together... I'll do it... As long as I still with you..." Cynder answered, Spyro warp his wings around Cynder and (Same thing happen like on LoS TEN ending) they frozen in a crystal made by Spyro. "Now... You'll be always beside me, Cynder..." Spyro said as they frozen inside the crystal "Thank you.. Spyro... I love you..." Cynder said. Since I've hated DOTD and couldn't be stuffed wasting my time interpreting an ending for a game I dislike, I just went the easy route and assumed the end scene meant spyro heard what cynder said and they're all lovey dovey. not that i even care about this trilogy anymore anyway. No ending is better than Sonic '06's ending. Because that ending retconned the game. Why are we fighting over this anyways? Kevin16: Eh. *shrug* Some folks reeeeeally want to pair up Spyro and Cynder in the most obnoxious way and shove it down everyone's throats. I kind of like the idea that they're related and will never be in a relationship, myself. I did love this game but the ending was a bit disappointing. Oh well, that's what u get for keeping your hopes up. However, the story line was great just was executed badly. Well, that's my opinion anyway. Yes, I think everyone knows that. I still stand by this thought. DOTD Cynder and Spyro were the worse characters in TLOS so I don't really care what happened to them.